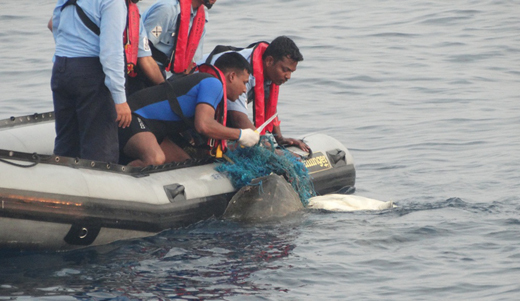 Mangaluru, March 11, 2016: Indian Coast Guard Ship (ICGS) Amartya while on maritime safety and security patrol off the coastal State of Karnataka rescued three Olive Ridley Sea Turtles on 10 March 2016. Besides providing safety & security and enforcement of maritime law at sea, Coast Guard preserves and protects the maritime environment. It actively assists endangered species like Whale Shark, Dugong, Dolphin, Turtle etc. The Ship was on patrol off Mangalore, Karnataka. At 06:45 AM on 10 March 2016, the Ship sighted a floating net with some movements therein. 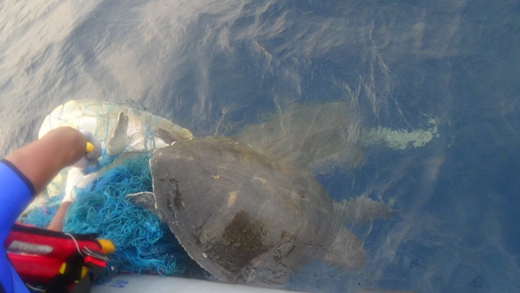 The ship subsequently went near to the net and found three Olive Ridley Sea Turtles entangled in fishing net. 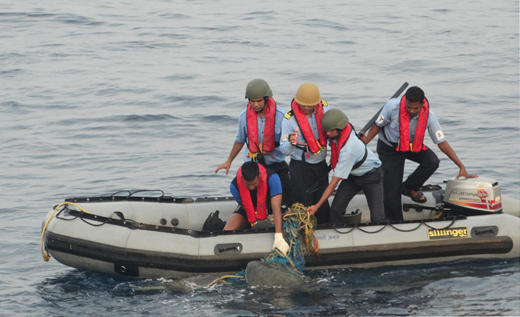 On seeing the Turtles struggling for their life, the Ship’s crew immediately swung into action by lowering their boat and the divers quickly cut the nylon wires of the net without inflicting any harm to the turtles. The swift action was important to prevent any injury to turtles. The Turtles were subsequently released into their natural habitat, i.e., the open sea. The timely and prompt release of the Turtles entangled in the net was critical to get them a new lease of life. 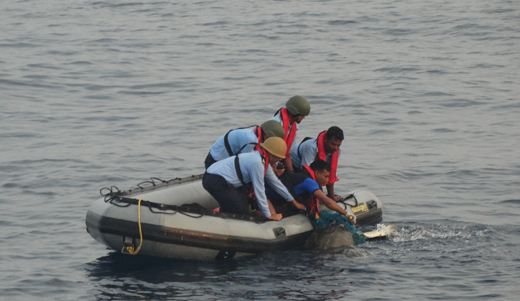 Professional acumen of the Coast Guard personnel at sea resulted in rescue of the three Olive Ridley Turtles as per Indian Coast Guard motto “We Protect”. Thanks to the Coast guard for rescuing sea turtles. As many sea creatures are endangered they need to be protected.